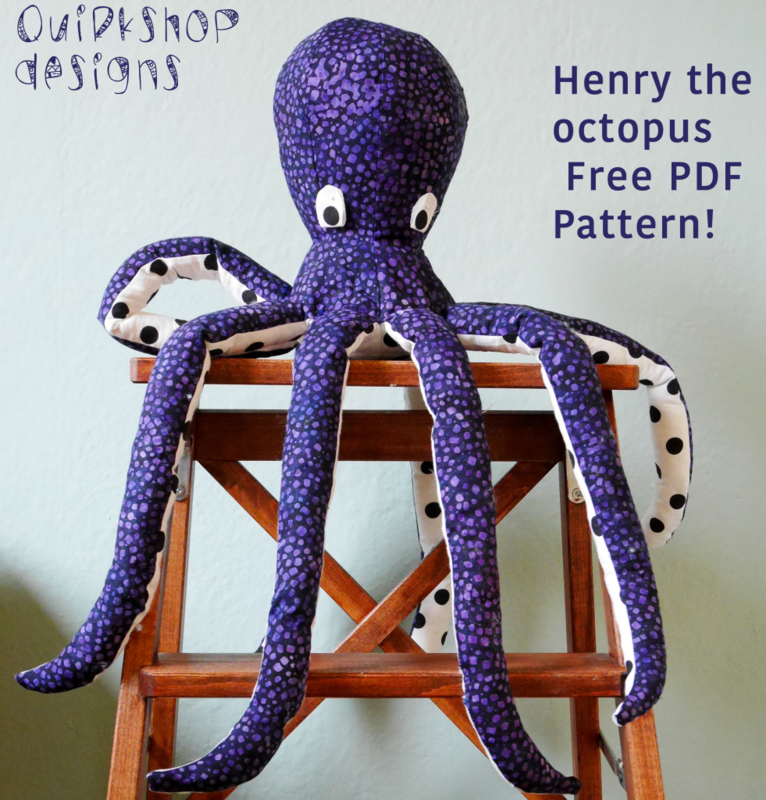 Download the PDF pattern here: Octopus pattern! Welcome to Quirkshop Design! Note: this was my first pattern for the public, and I welcome any feedback or suggestions for improvement. Feel free to share this post with friends. 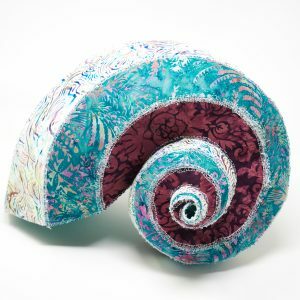 If you enjoyed making Henry, please check out my Etsy store (find it here) for more patterns, or check out the tutorial for my awesome 3-d seashell. I also love receiving photos of your octopus creations, so do send one along if you make one! Make sure when you print the pattern, to print it at 100% (or even slightly smaller), not “to fill the page.” Otherwise, your octopus will be giant! After printing the pattern, tape together the pattern pieces. To make exterior pattern pieces, trace original pattern on tracing or freezing paper from point A to point D, adding ¼ inch seam allowance. To make underside pattern pieces, trace pattern from point C to point D (underside), adding ¼ inch seam allowance. Cut out 8 exterior pieces and 8 corresponding underside pieces from your fabric. Make sure that the orientation of the arms from the exterior portions matches up with the orientation of the underside arms. Trim the exterior pattern piece from point A to line B to make an interfacing pattern for the exterior pieces. Cut 8 pieces out from the fusible interfacing and iron to the wrong side of the exterior pieces. Trim the underside pattern piece from point C to line B to make an interfacing pattern for the underside pieces. Cut 8 pieces out from the fusible interfacing and fuse to the wrong side of the interior pieces. I number corresponding interior and exterior pieces one the interfacing to keep track of everything. Also, lightly mark each piece 1/4 inch from the apex (that is, point A or point C). 7. 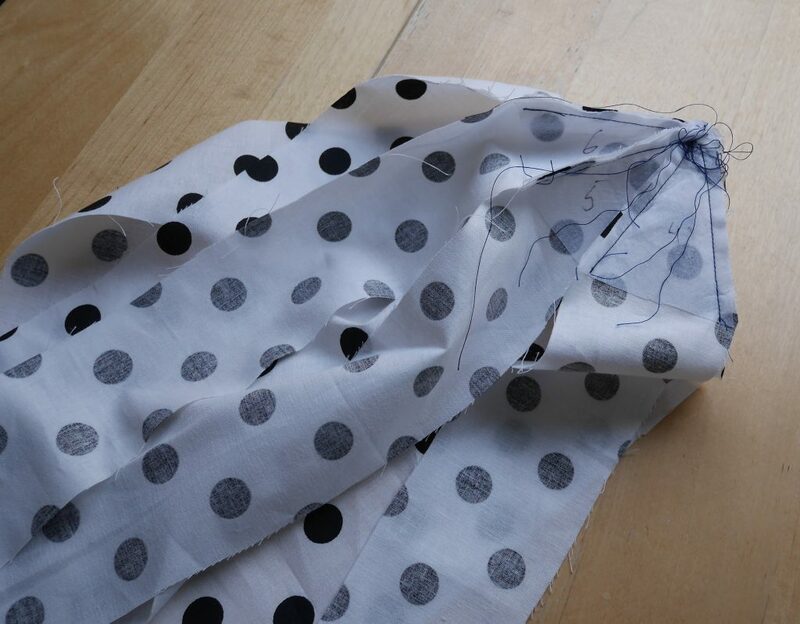 Starting with exterior pieces 1 and 2 (which you have labelled), sew the following seam, right sides together, starting from the mark ¼ inch from the apex. Turn right side out to make sure the stitching looks okay. 9. Sew the underside pieces in order as you did the exterior, starting ¼ inch from the apex for each seam. 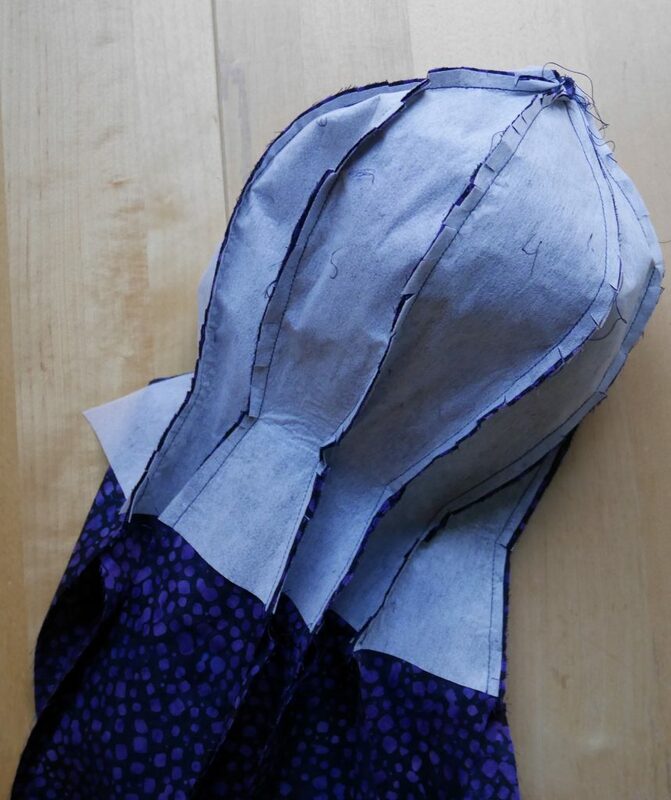 In the next step you will be lining up the right side of the underside with the right side of the exterior, so it is critical that you sew the underside pieces with the proper orientations. You will now have something that looks like this (possibly with tidier threads, haha). Turn right side out to check the stitching. Now, match up the right side of the underside to right side of the exterior pieces. Pin and sew all the way around the perimeter of the arms. The intersection points where the arms meet the underbelly will be a bit tricky. If anyone has a brilliant way of sewing these so that they turn out perfectly the first time, let me know! Turn the octopus right side out through the hole you left in the head. I highly recommend using the quick turn tool for the legs. When you have turned it right side out, check the seams and make any repairs as necessary. In all honesty, I had to do a bit of this by removing some stitches and hand sewing. Stuff your octopus, legs first. I did not overstuff the legs so that they will be more posable. De rien. J’espère que vous appréciez! un élastique. Il est préférable de placer ce canal du coté de la tentacule vers laquelle la pointe se relève. Insérer un élastique de façon a froncer la tentacule et fixer les deux bout de l’élastique. Retourner et continuer la confection. J’ai utilisé un tissu de polyester pelucheux et le résultat fut excellent. Merci. Brilliant! Si vous avez une photo, je l’afficherai sur mon blog. Envoyez moi on email. Je veux bien mais je ne trouve pas votre adresse courriel, je suis pas sur FB ou Instagram. Merci. I love this “little” octopus! Very easy to sew 🙂 Thanks for the nice pattern. Thanks, Stephanie! Glad you enjoyed. Si vous voulez, vous pouvez copier les photos de ma pieuvre.